 Pepi's Pizza was opened in 1960 by "Papa" Tony Wojtas and his wife, Audrey, on Main Street. At that time Pepi's was a small pizza shop with four booths and a coffee counter. Its success was almost immediate, and Pepi's out grew its location. Papa Tony moved Pepi's to the first floor of his home, on Route 5. At that time Route 5 looked very different. It was mostly farm land. As Route 5 grew, so did Pepi's Pizza. Many remember the clear tube that went up through the roof, and passersby could watch from the street as Papa Tony would spin the pizza dough up into the air. In 1975, Audrey and their daughter Linda, opened Pepi's Bridal Boutique next door to the pizza shop. In 1977 the two buildings were connected, and Pepi's added a dinning room. Pepi's continued to grow, and in 1982 Pepi's constructed a new building behind the original location. Over the years the new building underwent many changes, including the addition of a video arcade. Now, in 2008, Pepi's has begun its newest expansion, the original building Pepi's occupied will be demolished and a new Pepi's Pizza will be built in its place. The new building will be home for all the Pepi's features you know and love, including the Train circling the dinning room, the Clown and puppets, and a new and improved video arcade. Pepi's will also be adding an Ice Cream Parlor and Drive-Thru Pick-Up Window. Construction is estimated to be completed by 2010.